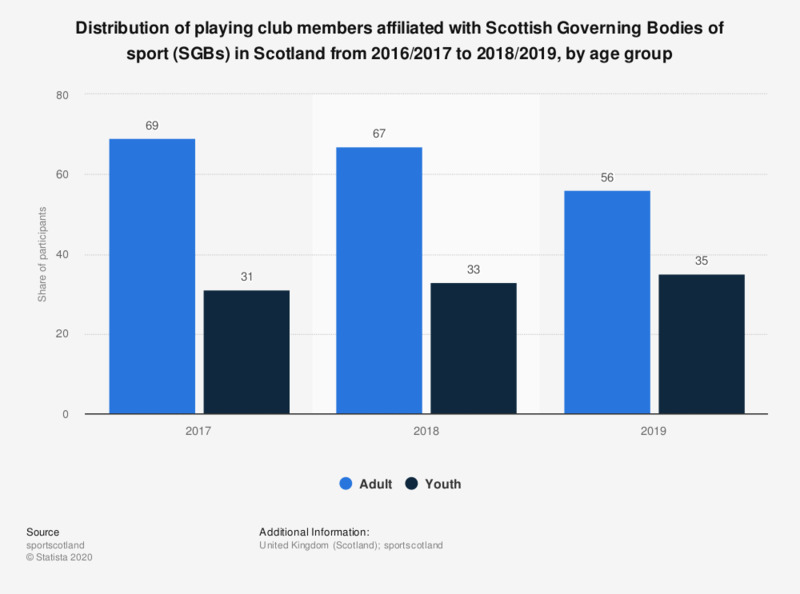 This statistic displays the distribution of playing club members affiliated with Scottish Governing Bodies of sport (SGBs) in Scotland from 2015/2016 to 2017/2018, by age group. In 2017/2018, approximately one third of the playing club members affiliated with Scottish Government Bodies of sport were youths. sportscotland is the national agency for sport in Scotland.